After the vibrant 5th meeting of the European Society for Evolutionary Developmental Biology (EED) in Vienna (Austria) in 2014, we are pleased to announce our 6th meeting of the European Society for Evolutionary Developmental Biology (EED) in Uppsala (Sweden) from July 26-29, 2016. We welcome scientists from all over the world. The programme promises to be exciting with, amongst others, 24 symposia covering a wide array of Evo-Devo topics. Our keynote speakers are Ehab Abouheif (McGill University, Canada), Per Ahlberg (Uppsala University, Sweden), Beverley Glover (University of Cambridge, UK), Kirsten ten Tusscher (University of Utrecht, The Netherlands). 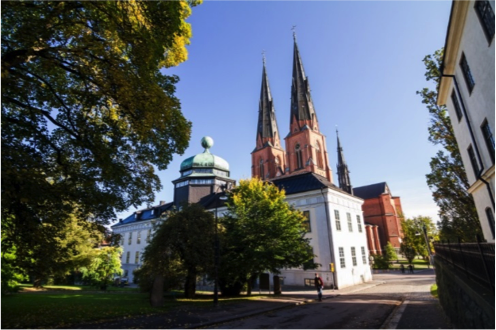 The venue is in the beautiful Uppsala Concert and Congress Hall in the middle of town and can be reached very quickly from the international Stockholm Arlanda Airport. We are looking forward to seeing you in beautiful Uppsala! 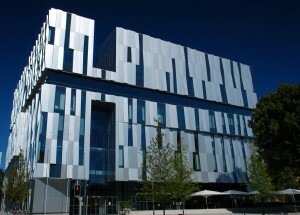 The Uppsala Concert and Congress Hall. The venue is situated in the centre of Uppsala, close to Uppsala Central Railway Station and only 18 minutes from Stockholm Arlanda Airport and 40 minutes from Stockholm by train.